Bassist Jim Sheppard of Seattle metallers Nevermore will undergo surgery today (Wednesday, February 16) to remove a benign brain tumor. The band's vocalist, Warrel Dane, says, "Please, all metalhead brothers and sisters, send your positive energy for our brother." Sheppard in 2006 missed a number of Nevermore shows after undergoing a minor procedure for Crohn's Disease, a condition he's managed for nearly 20 years. 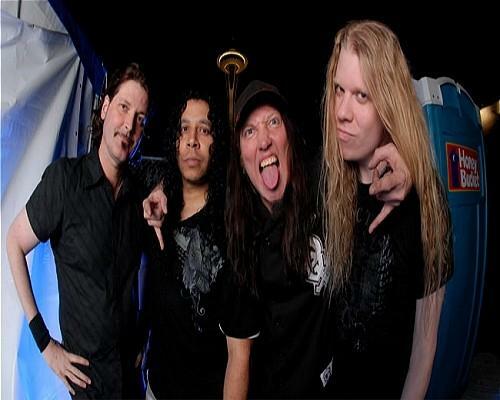 Filling in for Sheppard was longtime friend James MacDonough (ex-Megadeth, Iced earth). 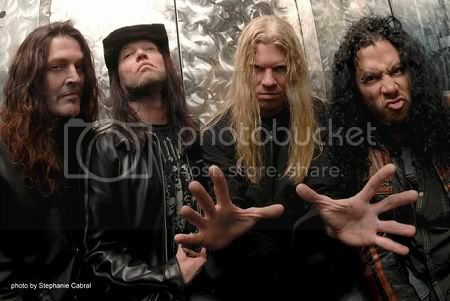 "The Obsidian Conspiracy", the new album from Nevermore, sold around 4,000 copies in the United States in its first week of release to debut at position No. 134 on The Billboard 200 chart. The CD landed at position No. 1 on the Top New Artist Albums (Heatseekers) chart, which lists the best-selling albums by new and developing artists, defined as those who have never appeared in the Top 100 of The Billboard 200. Nevermore has released a video for "Emptiness Unobstructed"
Nevermore has released a video for "Emptiness Unobstructed" , which can be viewed below . The clip was filmed during the band's London show on May 18 , 2010 , and was directed by Nigel Crane , who also worked with Paradise Lost . This song comes off the band's new album "The Obsidian Conspiracy" , available via Century Media . Nevermore frontman Warrel Dane was interviewed during the Austrian Metalfest Open Air , which was held May 13-15 . The chat can be viewed below . The band's new album , "The Obsidian Conspiracy" will be available on June 8 in US . Nevermore guitarist Jeff Loomis was interviewed by Rock.sk after his clinic guitar at Big Music in Banská Bystrica, Slovakia on March 31 . Watch the chat below . Nevermore reveal the artwork for "The Obsidian Conspiracy"
A teaser for the new album of Nevermore , entitled "The Obsidian Conspiracy" , have been posted online and can be viewed below . The album will be released on June 8 in North America and on May 31 in Europe . Check out the artwork below . 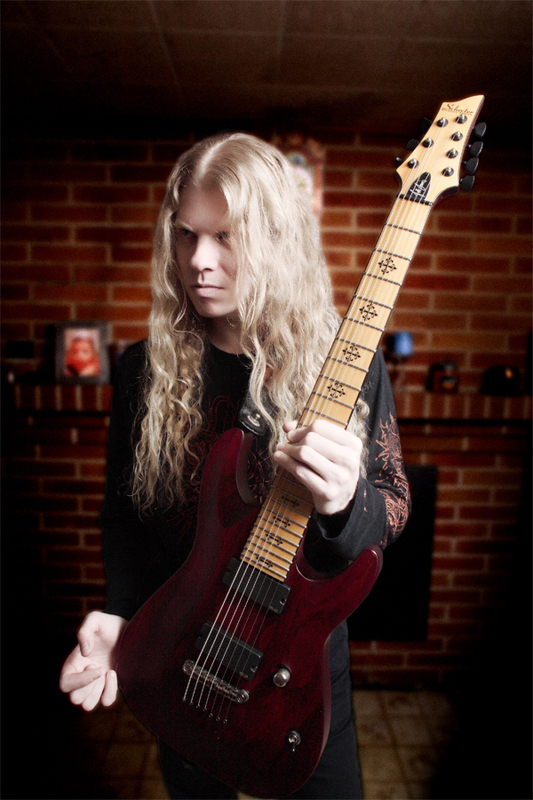 Rock House DVD of Nevermore guitarist Jeff Loomis , entitled "Extreme Lead Guitar" , will be available for pre-sale on April 15 . The two DVDs will include "more than 40 guitar lessons , interview , live performances and much more" . A teaser for the DVD can be viewed below . "The Obsidian Conspiracy" , the new album from Nevermore will be released on June 8 in North America . * "And The Maiden Spoke"
* "The Blue Marble and the New Soul"
* "She Comes in Colors"
* "The Day You Built The Wall"
The new album "The Obsidian Conspiracy" should be released in spring 2010 . The DVD will be available in winter 2010 . Last saturday , the frontman of Nevermore , Warrel Dane , sang for the first time a few songs from his solo album "Praises to the War Machine" and some Sanctuary's songs at Studio Seven in Seattle , Washington. His musicians were : Matt Wicklund (HIMSA, GOD FORBID) on guitar , Willis Mathiasen on drums, Dagna Barrera on bass and Jonny Smokes on guitar.